This stone caught my eye the first second I saw it – it was the vibrant orangey color that got me. 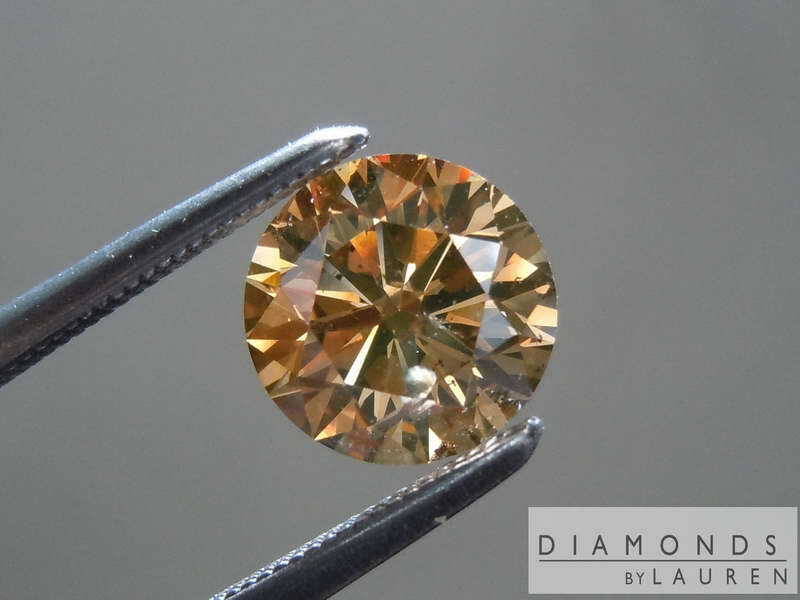 The stone has a great combination of extremely deep color, punctuated with bright flashes. The stone is beautifully cut. As is common in stones of this color, there are some imperfections in the stone. The color of the stone prevents you from being able to see them with the naked eye. 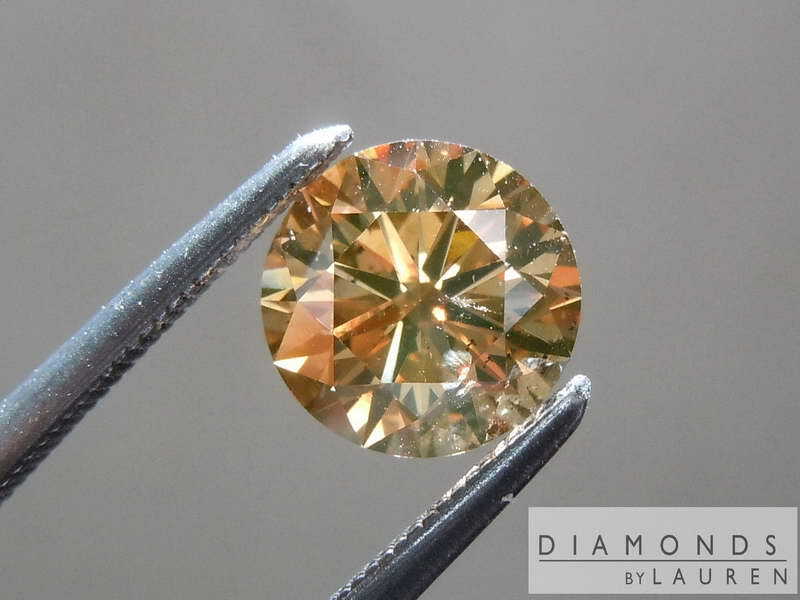 Although the stone is slightly deep, by colorless diamond cut standards, it still has very nice spread. 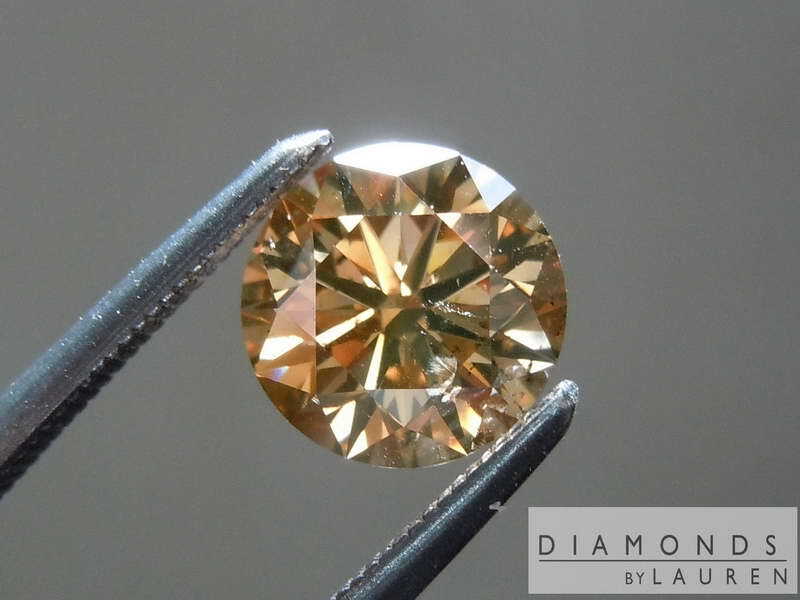 The truth is, you don't want the stone to be cut just like a D color. 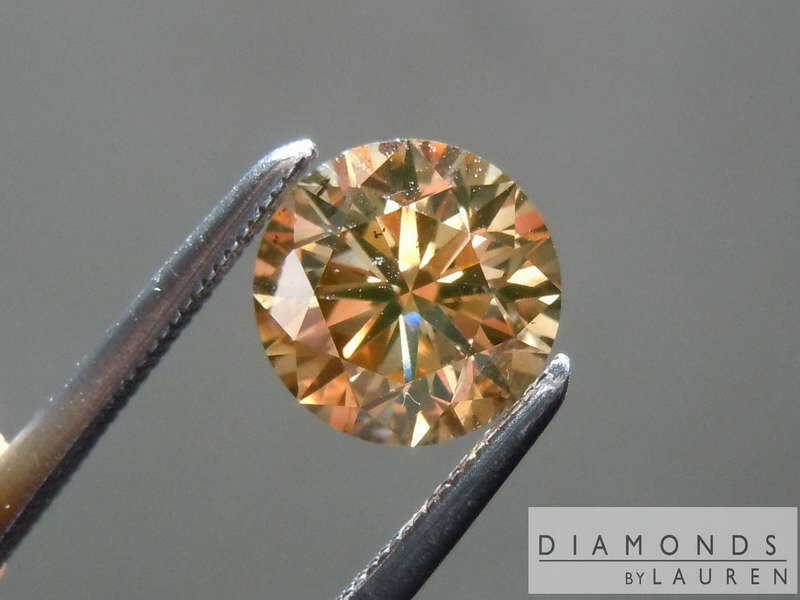 As it is, the Diamond has incredibly vibrant luster. 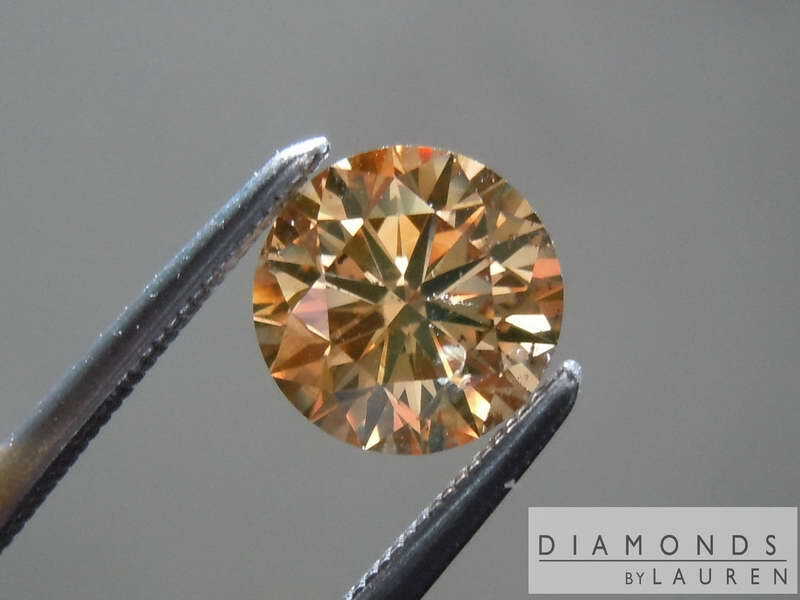 Great price on these brown diamonds as well. 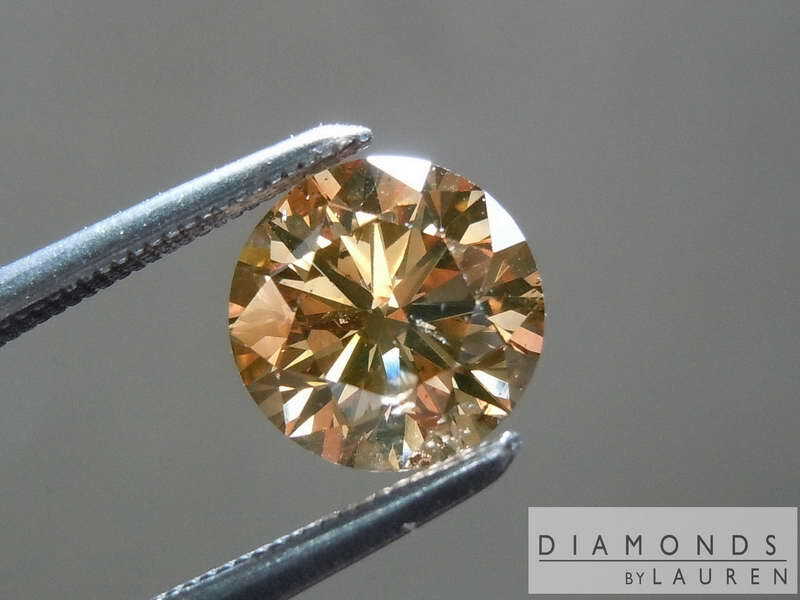 For now the diamond is offered loose – but we are already scheming and thinking of rings to make for it. Have you got any ideas?